Taipei, July 18 (CNA) The Ministry of Foreign Affairs (MOFA) on Wednesday reiterated Taiwan’s claim over the Diaoyutai Islands in the disputed East China Sea after Japan’s government announced a plan to teach high school students that the island chain belongs to Japan. Japan’s Education Minister Yoshimasa Hayashi announced Tuesday a tentative guideline to be applied to high school textbooks from 2019 that included a section saying that the islands, known as the Senkakus in Japan, are undisputed Japanese territory. 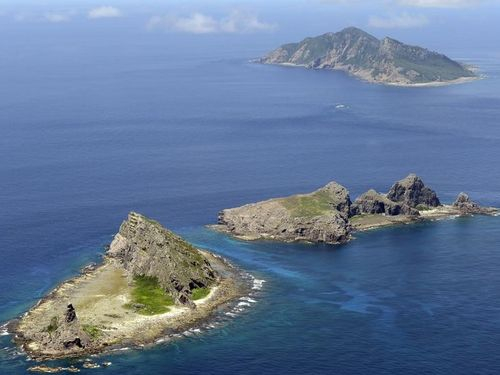 Asked to comment, MOFA spokesman Andrew Lee (李憲章) reaffirmed that the Diaoyutai Islands are the inherent territory of the Republic of China (Taiwan). "The historical fact will not change despite some country listing the islands as its territory in textbooks," Lee said. Taiwan’s government has always adopted peaceful means to resolve disputes and all sides involved should avoid taking any unilateral action that would destabilize and undermine regional stability, he said. The uninhabited Diaoyutai islets, located 170 kilometers northeast of Taiwan, are claimed by Taiwan, Japan and China, which calls them the Diaoyu Islands. They have been under Japanese administrative control since 1971.